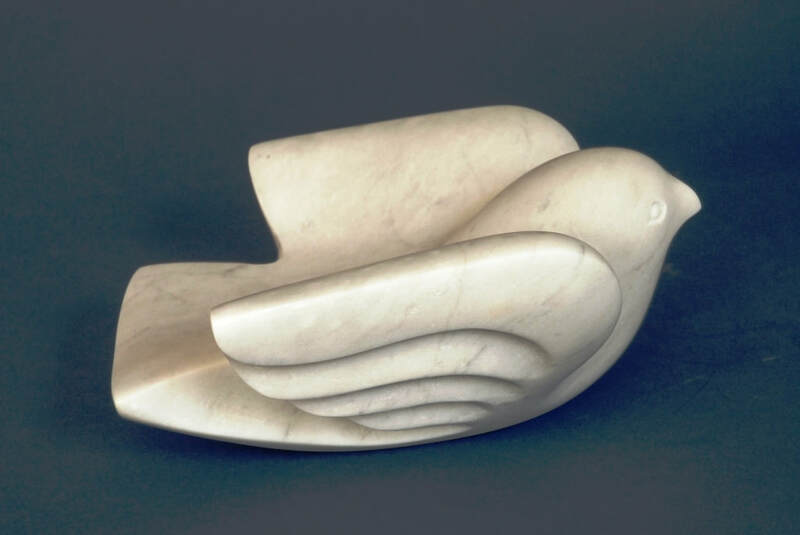 Beginning in 2003, with the US invasion of Irag, I made the carving of Peace Doves a key part of my career as a stone sculptor. The doves were shown in several galleries and exhibits, mostly in Skagit County but also in Seattle, Camano Island, and Bellingham, and online. Powellstudios.com The idea is simple: when a dove is purchased, and after the gallery takes its share of the sale price, I donate the rest to a charity working for peace. In the early years, I gave to two in particular, Mercy Corps and American Friends Service Committee, both of whom were actively assisting Iraqi and Afghan civilians on the ground, who were suffering from US attacks. As those wars continued, and intensified, and as other organizations became more active, we also contributed to them, often at the specific request of the dove purchaser. The dove is your receipt for your contribution to peace. In later years, I was not always able to donate all of my share of these sales, and so I stopped advertising the project, and began donating doves themselves to other causes and friends and relatives, instead of money. Then more recently, I retired from my professional status as a sculptor, and began to focus on other peace issues, including this website, and its associated activities for nuclear disarmament. Most recently, I have joined with a group of Anacortes artists in another, different kind of peace project, turning guns into artwork as a way to get them off the streets and advocate for less gun violence.